Every year in Pennsylvania, hundreds of people suffer serious burn injuries. A small number die from on-the-job fires or explosions. In Lancaster and York County, there were 32 flame-related hospitalizations in 2014. Burn injuries are caused by various dangers including toxic chemicals, fireworks, thermal conductors (like stoves and ovens), electricity, scalding liquids, corrosive cleaners, and wildfires. Different types of burns may require special care during an accident or emergency situation. Below, we discuss different types of burns and review how to treat various burns. First-degree burns—mild compared to other types of burns. They typically result in pain and reddening of the outer layer of the skin (epidermis). Second–degree burns—these injuries damage the epidermis and the lower layer of skin called the dermis. Third-degree burns—sometimes called partial thickness burns, these burns are severe and affect deep tissue. While a burn injury may seem minor, painful symptoms are common among the afflicted, which can result in time away from work and recreational activities, and may result in far-reaching emotional distress. Even minor burns can result in a painful recovery—minor burns can be more painful because sensitivity is still intact, whereas severe burns often result in numbness due to damaged nerve endings. 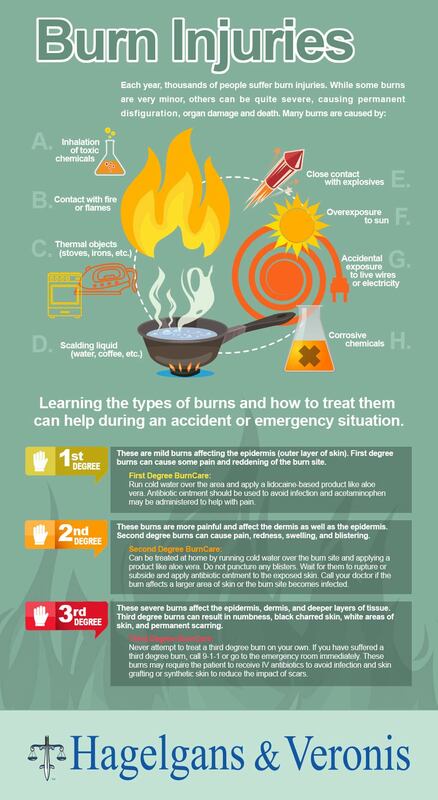 Knowing how to treat different burns can make a huge difference during an emergency. Hold the burn under cold water 15 minutes to prevent swelling. Apply burn cream to the affected area. Use a sterile bandage to cover and protect the burn. Change the bandage several times throughout the day and apply more cream as needed. Chemical burns are caused by a reaction between the skin and acids or bases. These burns require a bit more care. For example, flushing out the injury with water is critical, but you MUST allow water to cleanse the site completely—for at least 20 minutes—as chemicals often react to water and create more heat. Wear synthetic gloves (like nitrile gloves) when treating the area to prevent contamination. Remove any residual chemicals, clothing, or jewelry from the affected area. This will reduce the risk of further chemical reaction. Flush the burn with water for at least 20 minutes. Cover the area with a sterile bandage. Seek professional medical care. Bring the chemical’s container with you to the hospital. DO NOT attempt to neutralize a chemical burn with butter, baking soda, vinegar or any other DIY treatment. Doing so may cause further injury. Electrical burns can be caused by a number of things including loose wiring, lightening, or accidental contact with household current. While some minor electrical burns can be treated at home, it’s best to see a doctor. Electricity can damage internal tissue in ways that can’t be perceived from the outside. Don’t touch the injured person if they’re still in contact with the electrical current. Don’t move the injured person unless they’re in immediate danger. Stay away from any jumping or sparking wires. If possible, cover the burn with sterile gauze or bandage. Do not use blankets, towels, or anything with loose fibers that could cling to the injury. Do You Need a Burn Injury Lawyer? Burn injuries that result from someone else’s negligence or careless behavior may benefit legal representation. If you’re struggling to pay medical bills or if you have missed work because of a burn injury, you may be entitled to compensation. At Hagelgans & Veronis, we’re dedicated to representing the rights of injured people, and we can help you too. 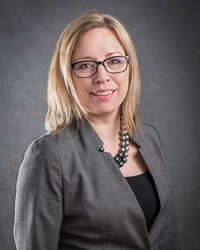 Call us for a FREE case consultation at 717-681-6069, or tell us what happened online. We don’t charge any fees until your case gets settled.